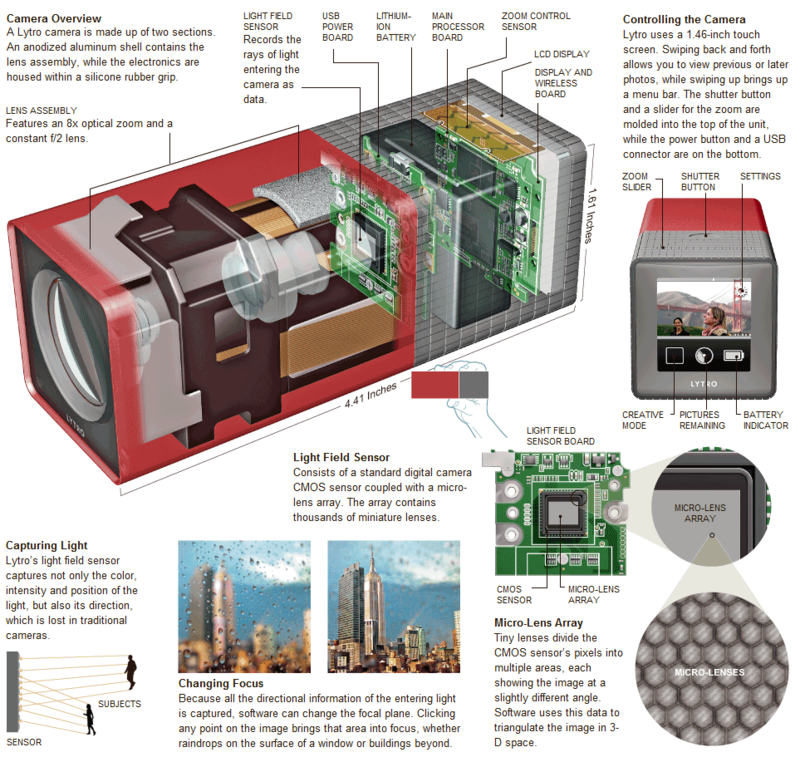 "LYTRO ILLUM is the first high-end camera to harness the entire light field – to retain the richness and depth of a scene. Explore focus, perspective, and depth of field within a single image and render full-color, 3-D living pictures. Use the Lytro Desktop application to adjust a wide range of photographic parameters, including the scene's depth of field, and transform those pictures into immersive cinematic animations." 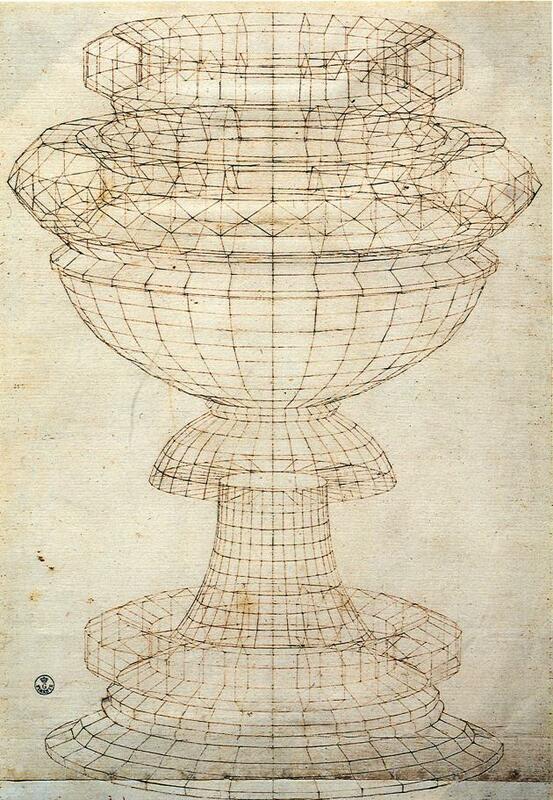 "When Brunelleschi (re)discovered linear prespective circa 1420, Florentine painters and sculptors became obsessed with it, especially after detailed instructions were published in a painting manual written by a fellow Florentine, Leon Battista Alberti, in 1435. John Berger, an art historian, notes that the convention of perspective fits within Renaissance Humanism because 'it structured all images of reality to address a single spectator who, unlike God, could only be in one place at a time.' In other words, linear perspective eliminates the multiple viewpoints that we see in medieval art, and creates an illusion of space from a single, fixed viewpoint. This suggests a renewed focus on the individual viewer, and we know that individualism is an important part of the Humanism of the Renaissance." "Berkeley's choreography is important less for its movement of the dancers than for its movement of the camera. To overcome the limitations of sound stages, he ripped out walls and drilled through ceilings and dug trenches for his film crews. When a desired effect could not be accomplished with traditional film equipment, he had his budget expanded to include costs for developing custom rigs. His innovations explored ideas that the stationary camera could not. He wanted to take the audience through waterfalls and windows. He wanted lines of dancers to fall away to reveal scenery that in turn would fall away to expose an even larger setting. His dreams were big, but his determination to see them actualized was even bigger. Even his worst attempts resulted in eminently watchable movies of exhilarating movement, but his best efforts produced startling effects that bordered on surrealistic dream states. In the quintessential Berkeley films Footlight Parade (1933) and 42nd Street (1933), cameras mounted on tracks are sent soaring past a multitude of dancing legs, flailing arms and orchestra instruments. In all, he directed more than twenty musicals, including an underwater sequence with aquatic star Esther Williams."